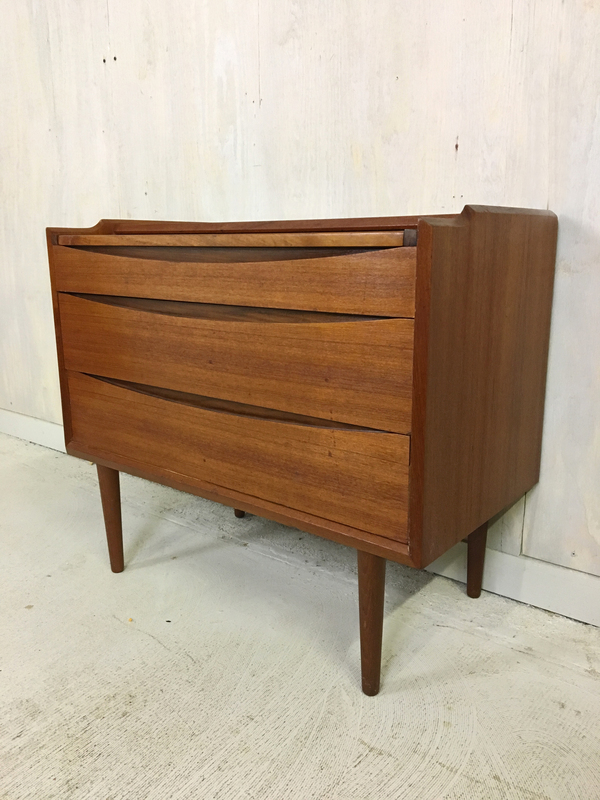 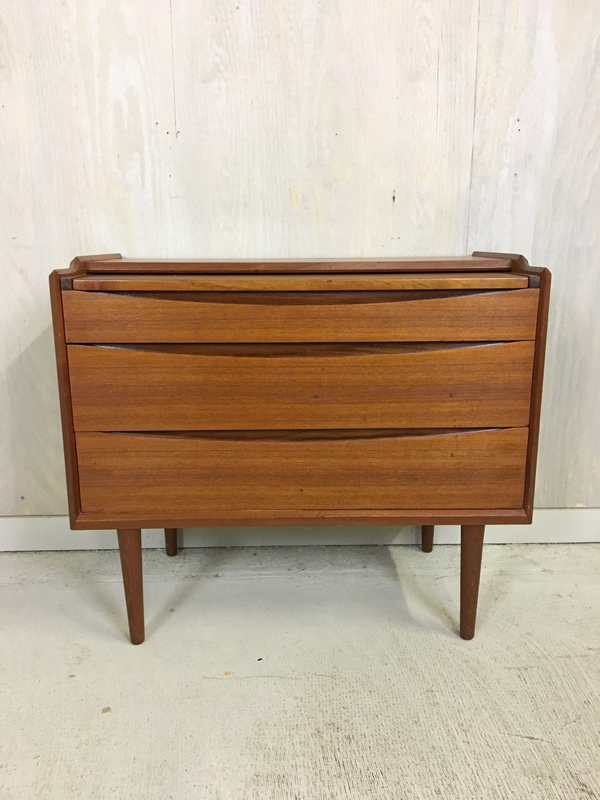 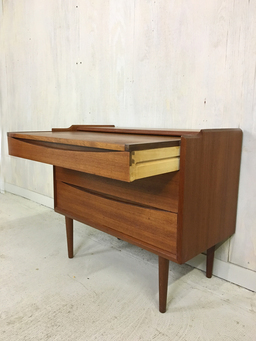 Designed by Arne Vodder, circa 1960’s, this petite graceful teak piece was intended as a vanity with the top pulling out to reveal a mirror and storage space. 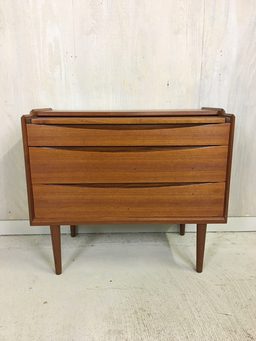 It features two lower drawers and slender tapered legs. 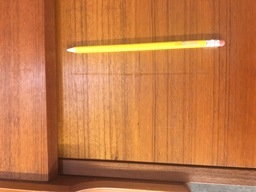 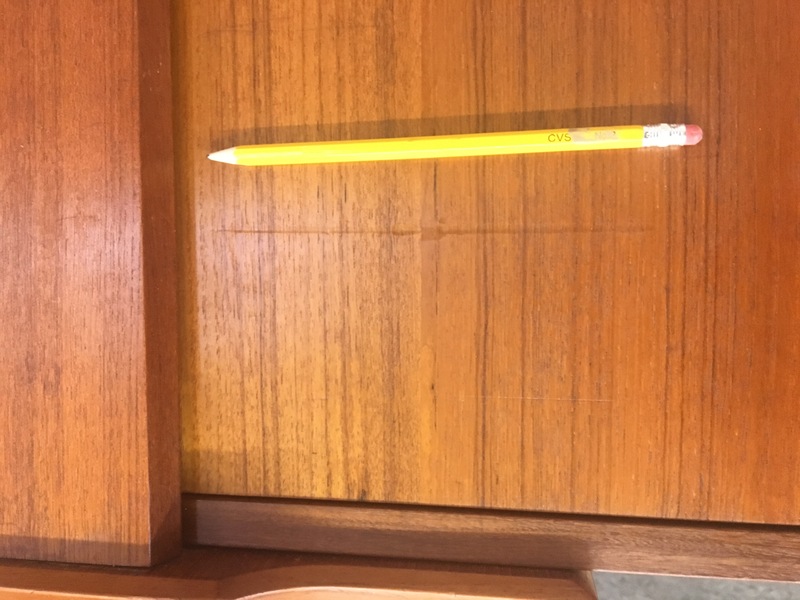 Drawers have dovetail construction, are clean and move smoothly. 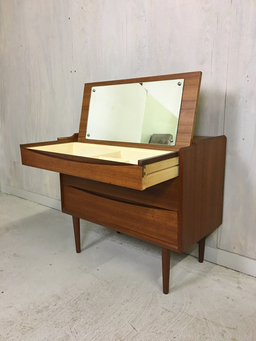 In good condition with only insignificant flaws: a stain and scratch on the top (see photos) and some discoloration in the interior storage area. 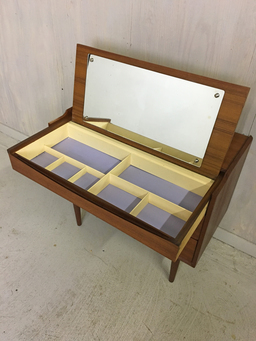 Otherwise, the vanity is sturdy and there are no veneer chips. 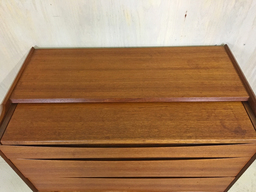 It has been Danish oiled to condition and enhance the wood. 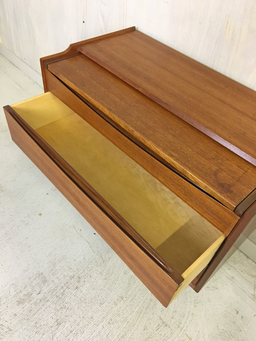 Can also be used as a small desk or for an entryway.